MomsLA Features New Contributor Who Can't Stop Talking About Doughnuts. Who Could That Be? 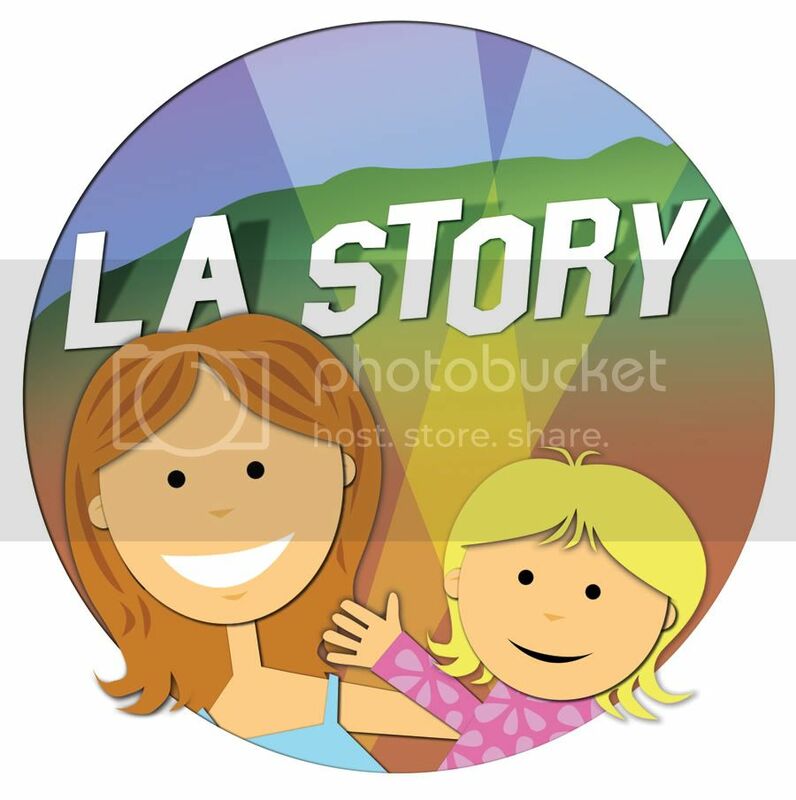 You're reading the newest contributor to MomsLA.com, a website created this year by former LA Moms Blog contributors Sarah Auerswald (who also blogs at Mar Vista Mom), Yvonne Condes (Yvonne in LA) and Elise Crane Derby (Elise's Ramblings). Focusing on motherhood in the City of Angels, MomsLA has already posted about chocolate milk in LAUSD schools and the hard-core fitness regimens of some West L.A. moms. 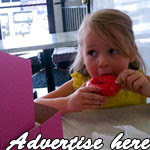 Please check out my new MomsLA post, "Will Doughnuts Be My Parenting Downfall?" Although I'm a huge fan of, say, Bob's Coffee & Donuts in the Farmer's Market or Randy's Donuts near LAX, I wonder if I'm setting an unhealthy example for CC. What do you think? Feel free to leave comments and visit often! 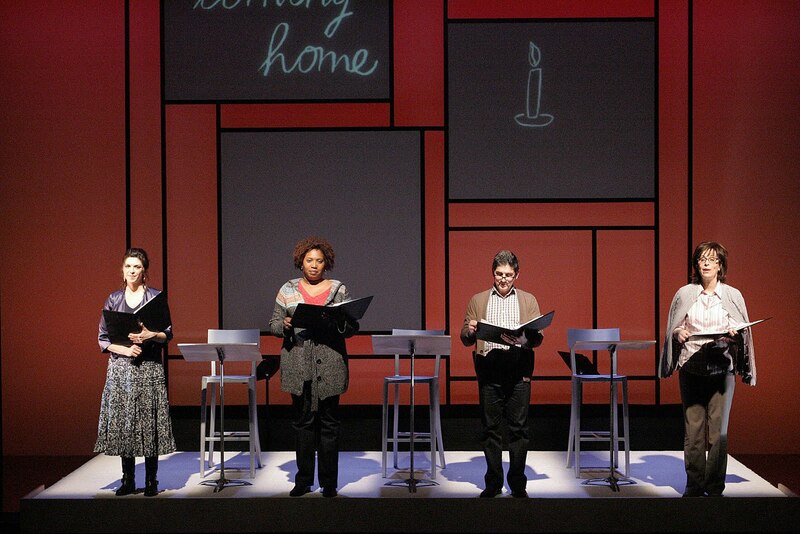 "In Mother Words" at the Geffen Playhouse. It's impossible to distill the concept of Motherhood with a Capital M down to one story -- or even two. With all of its highs and lows, complications and euphoric moments, questions and (mostly lack of) answers, Motherhood becomes like one of those frustrating pictures in which you have to practically cross your eyes to see a three-dimensional image. And even when you focus correctly and have the image perfectly in place, it is only fleeting -- and confusion returns almost instantly. Lucky for Los Angeles theatergoers, "In Mother Words," a performance reading at the Geffen Playhouse on stage until May 1, is a clear-sighted glimpse into the many facets of Motherhood. Conceived by Susan Rose and Joan Stein and written by a host of playwrights, including Beth Henley and Theresa Rebeck, the show is composed of a series of vignettes that tackle everything from bringing home baby to a boy's love of dresses to first dates. 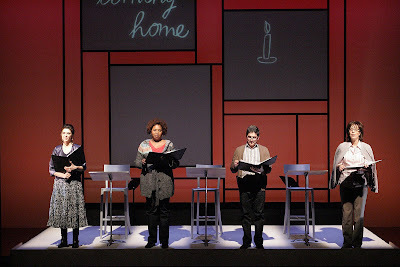 Reading from scripts on stage, the stars of the Lisa Peterson-directed show (Jane Kaczmarek, Amy Pietz, Saidah Arrika Ekulona and lone male James Lecesne) work together but sometimes alone in their short acts. Because there is little to no staging, the actors must create a whole reality from their facial expressions, limited movements and voices (which are sometimes laced with Irish or even Arabic accents). For the most part, the actors succeed in creating worlds that are not visualized through props or sets on stage. While there were a few verbal stumbles on opening night, when I attended with my own mom, the show's quick pace and engaging stories kept me focused as situations changed after only minutes. In one vignette, Kaczmarek portrays a mother of a little boy who wanted to go as Queen Esther -- dress, barrette and all -- for Purim celebrations. Why didn't her little boy want to play with trucks and cars instead of high-heel shoes? What would everyone say at temple when she walked in with a boy dressed as a girl? In another, Pietz plays a laid-back, smoking mom who meets two disapproving moms at the park. And, of course, her child is the one not playing nicely. Did she get invited for a playdate? Um, no. Lecesne mines the humorous and touching elements of wanting to have a baby (er, "gay-bie,") with his male partner. When they find a surrogate mother, he keeps reminding the doctors to hand the baby to him first -- not the woman giving birth. Ekulona, who was wonderful, tells the story of a mom whose son went off to war -- and how she imagined getting "the call" every day. The stories ranged from laugh-out-loud funny to cringe-worthy to just plain sad. And as a mother myself, I was struck by how much I felt bonded to these stories -- stories that weren't even my own. What would I do in any of these situations? How would my strength and composure hold up? It was a roller coaster befitting Motherhood itself. Happy Birthday, Dr. Seuss: Celebrate in Los Angeles! The Theodor Seuss Geisel stamp was released in 2004, on Dr. Seuss's 100th birthday. In honor of Theodor Seuss Geisel's, aka Dr. Seuss's, birthday on March 2, several kid-friendly spaces around Los Angeles are celebrating the man who gave us "The Cat in the Hat," "Green Eggs and Ham" and, CC's favorite, "Dr. Seuss's ABC: An Amazing Alphabet Book." Here's a guide to making your upcoming weekend and week more Seussical. Or Seussible. Or is it simply Seussy? On Saturday, Feb. 26, this kid-friendly (and parent-friendly) educational store will kick off birthday celebrations at 11 a.m., playing host to crafts, games and story times every hour. As a special bonus, Lakeshore is offering a Buy One, Get One at 50% off coupon that's good this weekend only. On Sunday, Feb. 27, this fun Pasadena museum will host Dr. Seuss story times, as well as crafts and games inspired by the author. Kids can even dress up as their favorite Seuss character for a chance to win a prize. On Sunday, Feb. 27, the Zimmer Museum will celebrate a Birthday Party for Dr. Seuss. Families will be able to make their own striped hats, a la the Cat in the Hat. On Wednesday, March 2 (what would have been Dr. Seuss's actual birthday), this PBS Kids show, featuring the voice of Martin Short as that famous cat, will offer a two-hour marathon of episodes, including the premiere of two new episodes. This national reading celebration happens every year on Dr. Seuss's birthday. Schools, libraries and community centers host their own book-friendly celebrations. Check local outlets for special activities in your area. CC tops her pizza with pineapple and mozzarella at Fresh Brothers in Calabasas. I've been hearing a lot about SoCal pizza restaurant Fresh Brothers -- tasty pizza, salads and a super kid-friendly atmosphere -- so I was happy to check out their digs in Calabasas this weekend for a blogger party hosted by Andrea from SavvySassyMoms.com. The thought of making her own pizza had CC giddy with pineapple dreams -- she's a Hawaiian pizza kind of a girl. And after she found out she would also be decorating her own cupcakes? Well let's just say there was lots of squealing and smiling. 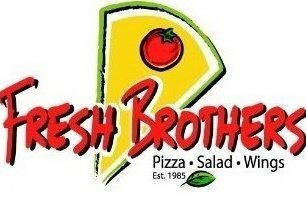 So CC, my mom and I bolted up the 101 to the adorable town of Calabasas, where the Fresh Brothers crew was ready and waiting with balloons, kid-sized T-shirts, mini pizzas and a friendly staff. I had no idea they offered special kids' parties, and they definitely have it down to a (pizza) saucy science. While the grown-ups dined on delicious meaty- and veggie-friendly pies, the kids dove into tons of toppings for their mini pizzas. As promised, CC chose the pineapple, dribbled on sauce and mozzarella, and she was good to go. While we parents (@SavvySassyMoms @SAuerswald @AgouraHillsMom, @the818) were waiting and chatting about the kiddos and their latest activities (including a new "Angry Birds" iPhone app obsession), the staff took the little ones back to the kitchen, where they saw the pizza being made. What a great idea! Next up? Cupcakes! And these were not small. The kiddos -- and the parents -- had their choice of chocolate or vanilla 'cakes, frosting and a host of toppings, including M&Ms and Gummy Bears. To tell you the truth, I was a little concerned about cupcakes in a pizza shop. Would they be as good? Would they just be an afterthought next to pepperoni pies and hot wings? After stealing a taste myself, I can safely say that these guys are delicious -- a fun treat for any pizza party. Thanks so much, Fresh Brothers and SavvySassyMoms! We had a great time and look forward to visiting again. Stores in Manhattan Beach, Marina del Rey, Redondo Beach, Westlake Village, Calabasas and (coming soon) Beverly Hills. Click here for kids' party info. Experience the wild, wild West with your children at a museum rich in history and culture for only $7! Purchase this deal and you will receive 1 adult and 1 child’s admission to The Autry Museum located in LA’s famous Griffith Park. You and your child can explore a museum housing more than 500,000 pieces of art and artifacts, with access to incredibly engaging kids’ programs which are free with museum admission. 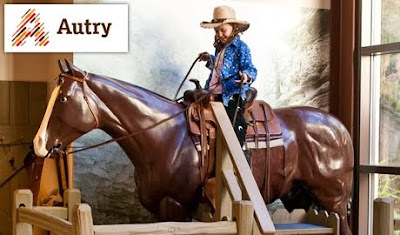 From art workshops, story times, and hands-on history activities, like panning for Gold, the Autry Museum is a fun and interactive museum for children of all ages. Giddyup to experience this great deal today! Will Rogers' home, tucked into the Will Rogers State Historic Park in Pacific Palisades. Most of you know that I'm originally from Oklahoma. It's been a looooong time since I lived there, but it's still where most of my family is and where my roots are. And I still find it fascinating to find Oklahoma connections in Los Angeles. That's why I was happy to accompany my mom, who's in town from Oklahoma, on a tour of Will Rogers' home -- now a state historic park -- in the Palisades. An Oklahoma boy, Rogers was a talented roper and beloved entertainer, performing all over the world in shows including the "Ziegfeld Follies" during the 1920s and '30s. Unfortunately, he passed away in a plane crash in 1935, when he was 55 years old. His wife, Betty, deeded their Palisades home to the State of California in 1944, and it's a gorgeous and peaceful place to visit with the family. There are even deer that nibble on grass so close to the road, you almost expect them to push their nose up to the car window. Almost. The 31-room ranch house itself is decorated in a Western style, with Navajo rugs and cowboy art in almost every room. Far from ostentatious, the home is comfortable and sits on a vast stretch of land that offers lovely views all the way to the ocean. In addition to the home tour, visitors can picnic and hike on trails, one of which leads to Inspiration Point. (Is that where "Happy Days" got the name?) The former horse stables are open to the public, and the Will Rogers Polo Club plays every weekend from April to October on the adjacent polo field. It was a nice getaway that was also so close to home -- in more ways than one. 1501 Will Rogers Park Rd. What can you buy for a dollar these days? Not much. But with today's deal, you can buy your kid a 24-pack of official Silly Bandz for a dollar ... and that even includes shipping! 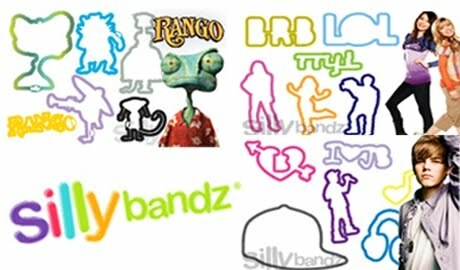 You can choose from 35 varieties of Silly Bandz, including Justin Bieber, Kardashian, Rango, FarmVille, SpongeBob, Yo Gabba Gabba, Barbie, or iCarly. Or you can even go with the Build-a-Pack option and build your dream pack by choosing 24 of your favorite Silly Bandz. Kids love to wear them, trade them, collect them, and show them off to their friends. Be the coolest parent on the block -- buy your kid a 24-pack of official Silly Bandz at 89% off! $89 for a Party Your Kids Your Party Will Never Forget! My mom is in town this week, celebrating her 70th (!) birthday. And to help her celebrate the big 7-0, CC is contributing her usual excitement and charm by, well, leaping on her. My mom's always been a trooper! Happy Valentine's Day! Sweet on L.A. Happy Valentine's Day! If you're feeling that holiday craving for chocolate -- for me it doesn't really have to be a holiday -- there are plenty of places around Los Angeles to satisfy your sweet tooth. 1. Magnolia Bakery (8389 W. 3rd St., L.A., 90048) -- So far, this is my favorite cupcake stop in Los Angeles. There are plenty of awesome ones, which I'll also include, but I love the homemade feel and delicious but not diabetes-inducing frosting. 2. Crumbs Bake Shop (Various L.A. locations) -- For cupcakes as big as your head and filled with yummy surprises, check out this fave bake shop. They have lots of Valentine's Day options. 3. Sprinkles (9635 Little Santa Monica Blvd., Beverly Hills, 90048) -- Gotta love the cool, mod look of a Sprinkles cupcake. Bonus points for also offering cupcakes on the road via the Sprinkles truck. 4. Sweet Lady Jane (8360 Melrose Ave., West Hollywood, 90069 and 1631 Montana Ave., Santa Monica, 90403) -- These are truly gorgeous cupcakes, what with the colorfully floral designs and mile-high frosting. This sweet lady also has a wide variety of lovely Valentine's Day desserts. 5. BabyCakes NYC (130 W. 6th St., L.A., 90014) -- For the vegan in your life who doesn't want to miss out on taste, head downtown to BabyCakes NYC. The scent of its sweets-filled kitchen will have you inside and ordering in no time. 1. Compartes Chocolatier (912 S. Barrington Ave., L.A., 90049) -- For organic chocolates that are gorgeous to boot, visit Compartes in Brentwood. For Valentine's Day, they also have chocolate-dipped Oreos topped with tiny colorful hearts. 2. Valerie Confections (3360 W. 1st St., L.A., 90004) -- You might remember when I visited Valerie about this time last year. Her creative confections are simply delicious. 3. L'Artisan du Chocolat (3364 W. 1st St., L.A., 90004) -- Talk about your friendly neighborhood chocolate block. I'm intrigued by the close proximity of this French-inspired chocolate shop and neighbor Valerie. When it comes to chocolate, apparently the more the merrier! 5. John Kelly Chocolates (1508 N. Sierra Bonita, L.A., 90046) -- Did someone just say Truffle Fudge Bites with Sea Salt? Oh yes, they did. Enjoy! Can you tell I'm ready for dessert? With its new DVD, "Mickey Mouse Clubhouse: Minnie's Masquerade," Disney is hoping preschoolers will push their buttons. On purpose. In fact, they've included a mini Mouseketool to do just that. The Walt Disney Studios Home Entertainment package, which hit shelves earlier this week, includes not only the adorable, Minnie-centric DVD itself but also Disney's Mickey Mote, an exclusive remote control with four color-coded buttons that allows kiddos to interact with what's on screen. And after I got it programmed -- in a few easy steps -- CC was an instant fan. 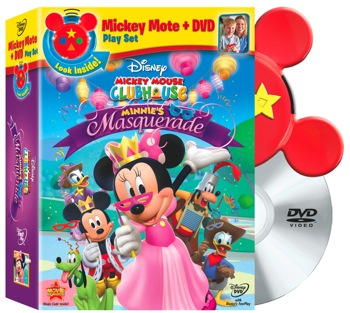 "Minnie's Masquerade" (SRP $29.99 with Mickey Mote) features four animated adventures that star Minnie, of course, as well as Mickey, Donald, Goofy and Daisy. The first episode has everyone playing dress-up as they figure out what they're going to wear to the masquerade ball. While getting ready for the big party, the friends make royal crowns for their costumes and search for Goofy's -- er, Sir Goofalot's -- lost shoe. What's great about the Mickey Mote is that kids can answer questions using the buttons during each episode. Those range from picking which shoes Minnie should wear (any answer works for this one) to remembering what color Goofy's hat is or what symbol appears on Pete's costume (with only one answer being the correct one). It challenges kids to really pay attention to what's on screen and to observe details that might otherwise be lost on them. Questions also tackle preschool-centric skills such as color and shape recognition. There's even a Discovery Mode feature that includes two levels of play, which offers more challenging questions as children get older. The Mickey Mote also works for more than 11 Disney titles, so kids have the opportunity to interact with other shows. CC enjoyed setting up the Mickey Mote as well as answering the questions on screen. Admittedly, it took some getting used to. We were both a little quizzical at first when all of a sudden the episode's action paused for a few seconds before the question popped up. The first couple of times we wondered if something was wrong with the DVD. Other than that, it was great watching CC master yet another tech device -- and even more fun hearing her shout out answers that were right on target. Valentine's Day is just around the corner, but don't fret if you haven't got all your chocolate hearts in a row. If you're still searching for just the right gift for your perfect little someone, here are a few ideas. 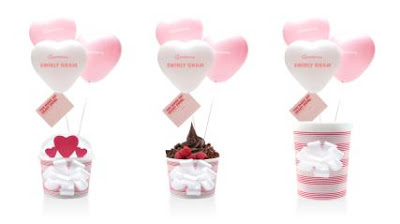 We are huge Pinkberry fans, and I was so excited to see that the L.A.-based frozen yogurt company is offering their signature Swirly Grams, which can be hand-delivered via mail (order before 12 p.m. PST on Feb. 11) or picked up in one of their stores through Feb. 14. The Swirly Grams, pictured above, come in three packages: Swirly Spree (a gift-wrapped Pinkberry gift card for any amount); Cupid's Swirl (choose from three flavors and pair with Valentine's Day toppings, $10); Take Me Home (your flavor in a bigger size, serving 4-6, $20). Every Swirly Gram comes outfitted with a Valentine's Day card and balloons. Very sweet, indeed! If you're up for monkeying around with your little monkey, this is definitely the right way to go. 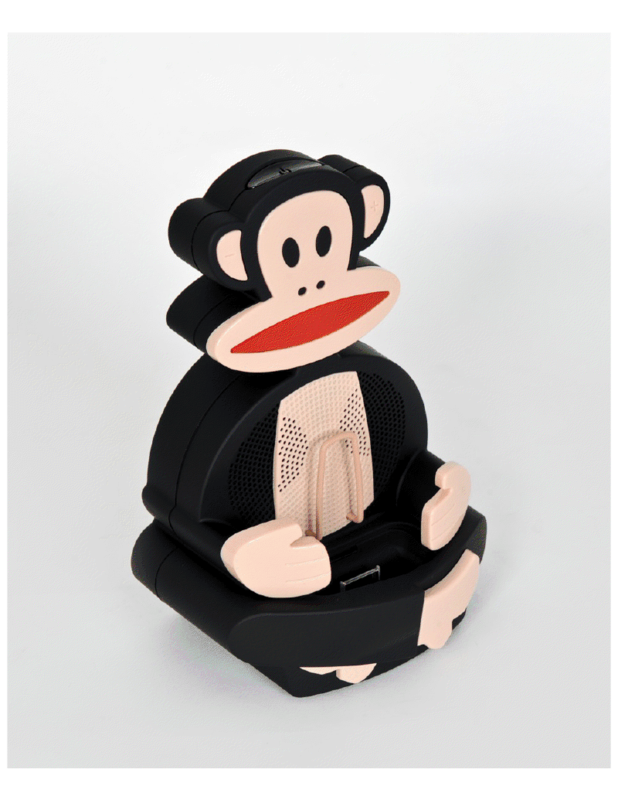 The Julius Dance Machine iPod Docking Station ($99.95) from Paul Frank offers a cute alternative to all of those nondescript iPod docks. It takes very little to get CC up and dancing, but having a monkey around for encouragement surely wouldn't hurt. 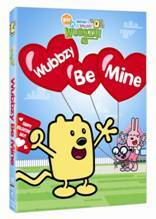 CC loves Wubbzy, that cute little yellow creature with a curious mind and kooooky tail. His latest adventure, full of "Wubb love" for his friends Walden, Widget and Daisy, has Wubbzy delivering Valentine cards for Wuzzleburg's ill mailman only to find that there are none for him -- until his friends arrive with deliveries of their own. That's just one of three episodes on the DVD (SRP $12.98). For your little ninjas, blogger Jenn (and mom of two boys) from JustJennRecipes.com (and JustJennDesigns.com) offers up a fun recipe for Valentine's Day goodies. CC loves to help out in the kitchen, even if it's a small task like pouring sugar into a measuring cup, so little ones will surely be thrilled by these clever creations. For all you tech-savvy parents out there who want to get the most out of those hundreds of photos you have on your iPhone or iPad, here's a holiday app that's sure to make for lots of Valentine's Day fun. And that goes for the kiddos, as well. 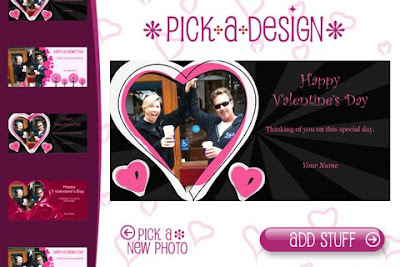 Build-a-Card allows you to take images and create personalized Valentine's Day cards to share over email, Facebook and Twitter. Parents and kids can choose their own card design and add fun photo extras, such as candy hearts, little Cupids and chocolate-dipped strawberries. Write a fun message, and you're ready to hit "Send." Not bad for a 99-cent download! Skip the mall and take a family field trip (global learning experience included!) Visitors to the STAR ECO Station experience incredible hands-on lessons through breathtaking encounters with beautiful tropical birds, exotic reptiles, wildcats and ocean life in a tropical jungle setting. STAR Eco has been named “Best Teaching Zoo” by L.A. Parent Magazine and “Best Place to See Animals” by L.A. Family Magazine, and featured on Animal Planet, Nickelodeon, ABC, NBC, and in the L.A. Times. 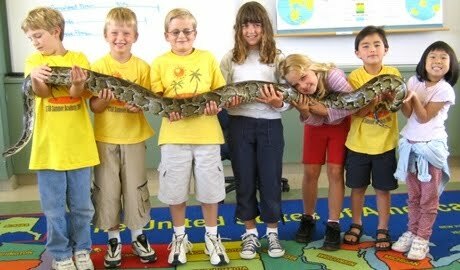 Plan some family fun - your voucher gets you one child and one adult ticket for a tour and hands-on animal experience at this terrific local treasure … at half off the usual price! 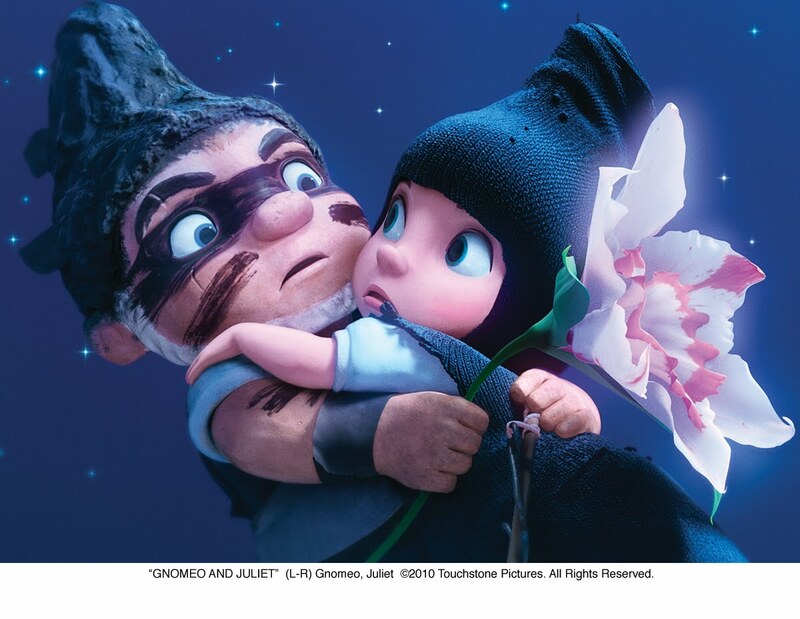 "Gnomeo & Juliet" will be hitting theaters on Friday, Feb. 11, and it would be a tragedy -- of Shakespearean proportions -- if we missed it. The G-rated 3D animated movie, about garden gnomes and their star-crossed love affair a la "Romeo & Juliet" (except that this one's a comedy), features Emily Blunt and James McAvoy as the voices of the titular gnomes, with music from Elton John (who has his own jazzy-looking gnome in the movie). My friend (and Variety film critic) Justin Chang -- whom I trust completely with such films -- gave it a thumbs up. While that might mean very little to my already enthusiastic 4-year-old, it definitely goes a long way with parents like me who'd like to know exactly what we're getting in to. As an added bonus, the El Capitan Theatre in Hollywood is offering a special Valentine's Day dinner before each 7 p.m. showing of the film from Feb. 11-Feb. 14. Prepared by Crumble Catering, the company that caters Elton John's annual Oscar dinner, the three-course meal will be $25 per person, including tax and gratuity. And while I'm not usually a huge fan of film merchandise, I'm looking forward to seeing lots of chubby little gnomes dotting store shelves -- and possibly even CC's shelves at home. Debuting at the W Hotel in Hollywood on Saturday, 'Blo' blow-dry bar was sitting pretty in pink, as they introduced their new space and styles to Los Angeles fashionistas. 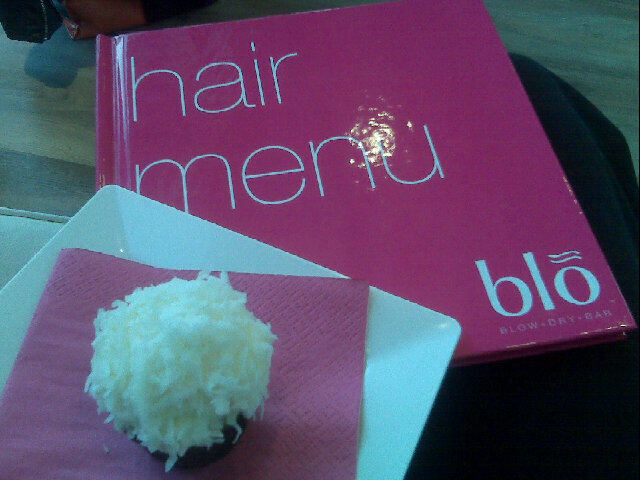 I had the opportunity to check out Blo, which boasts, "No cuts, no color: Just wash blow go" -- along with more than a few double entendres (Hello, buttons that say "blo me"!). For a mere $33, clients can choose from one of seven styles -- sleek & straight, the updo, big curls, just to name a few -- and walk out with amazing hair in about half an hour. My friend Yvonne (who also visited Blo) was celebrating her birthday that evening, so the timing was perfect for me to get an awesome "Red Carpet" blow out before her big shindig. Greeted with pink champagne and mini cupcakes was a great way to start my complimentary appointment. After leafing through the hair menu, I finally settled on the "Red Carpet," described as "Smooth tresses with lots of body and gentle arcs toward the neckline. Monroe at her heartbreaking best. A must-do for cocktails or an espresso-induced shopping spree." The appointment was a lot of fun, and I really liked how great my hair looked afterward. Online site HollywoodPatch.com was on the scene, complete with video camera, and caught my awesome hair on tape. Check out my interview in the above video! There's so much fun stuff to do this week in and around Los Angeles. From FIDM's annual Art of Motion Picture Costume Design exhibit (which is free, btw!) to a snow day in Glendale's Brand Park, there's plenty to offer kids of all ages before Valentine's Day. Please check out more info at my post on CBSLosAngeles.com. Flamingos, white-nosed coatis and elephants, oh my! Those were just a few of the animals CC tracked down at the L.A. Zoo this weekend for the Greater Los Angeles Zoo Association's annual "Searching Safari" event for Safari Club patron families (and some press, like me). After some cheery words from GLAZA president Connie Morgan about the search (you know, for love, happiness and all that), which had more than 200 people in attendance, families readied themselves with maps and cameras. "I'm a bird, so my nose is called a beak. I use my beak to scoop up tiny shrimp called brine shrimp. Eating brine shrimp makes my feathers bright pink." What was adorable was that each new discovery brought another clue, some encouraging words and a small prize ("We are a nonprofit, after all," quipped Morgan). CC was happy to take home a elephant-themed coloring book, a giraffe-designed notebook and a couple of cute stuffed animals. 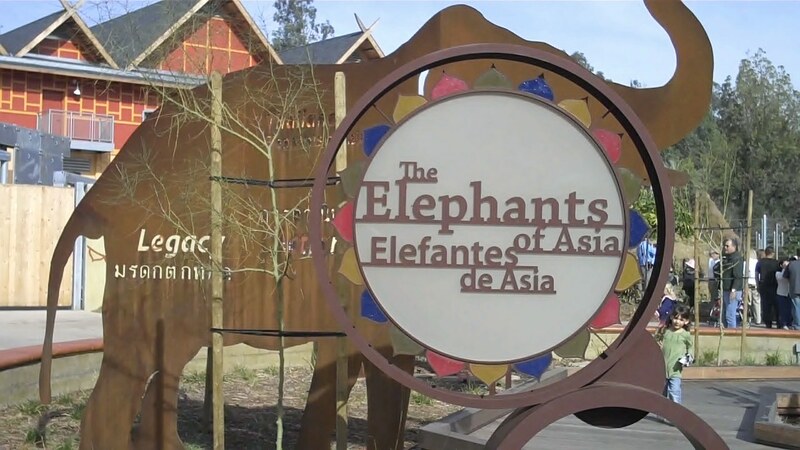 The scavenger hunt ultimately brought everyone to the new Elephants of Asia exhibit, where one of the giant animals was stepping gingerly in the newly trucked-in snow for the weekend's "Snow Days" festivities. Union Ice provided the snow for the various animal habitats. We had a wonderful time and were happy to be invited. (Although we are big fans of the zoo, we aren't yet part of the Safari Club ourselves.) We do, however, encourage any contributions to this worthwhile and family-friendly L.A. destination. Click here to support the L.A. Zoo. Jamie Foxx, Anne Hathaway and George Lopez walk the blue carpet at the "RIO" press event. There's a certain blue macaw that's been showing his bewildered face on billboards around Los Angeles, and now I know why. "RIO," the new 3D CGI-animated movie from "Ice Age" director Carlos Saldanha, will be hitting theaters April 15, and I had the opportunity to catch a "sneak beak." From left: Sarah Maizes (MommyLiteOnline), me, Andrea Fellman (SavvySassyMoms), Jeana S (Deals4Dummies), Julie Taylor (MomLogic) and Anna Viele (ABDPBT). Voiced by the endearingly awkward Jesse Eisenberg, Blu meets his match in the fiercely independent Jewel (Anne Hathaway). He's also challenged to literally spread his wings and fly. Hathaway was on the Fox lot alongside fellow cast members Jamie Foxx and George Lopez, in addition to Saldanha and music contributor Sergio Mendes. It was a lot of fun hearing from Brazilian director Saldanha about a project that's obviously near and dear to his "Girl From Ipanema"-loving heart. He mentioned multiple times how much he wanted "RIO" to feel authentically Brazilian. That's why he called on the musical talents of Mendes. What was also interesting was hearing from the actors themselves about the process of recording their voices -- mostly without the benefit of engaging the other actors. "I haven't seen Jesse (Eisenberg), except for socially, throughout this whole process," said Hathaway, who also sings in the movie. For Foxx, who also worked with Will.i.am on the music, this was a first. "For me, I was just trying to act," Foxx said. "I'm doing all the faces, and it's like you're not actually on film. So you have to get the voice right, which I felt was great." But Hathaway and Foxx weren't the only ones lending their musical chops to the movie. Lopez, who plays a toucan, turned in a few notes himself. "You know, I'm not gonna let them all sing and me just sit there with a big nose flying around!" Lopez quipped. "I sang, too." "You sang beautifully," Saldanha chimed in. Stay tuned for the movie, which looks adorable and is filled with lively songs. 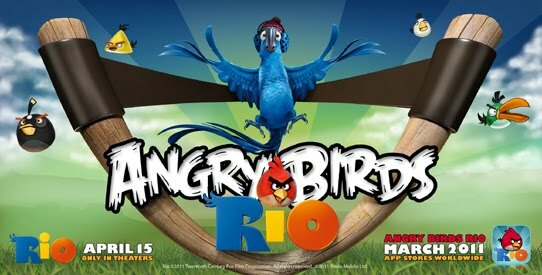 In the meantime, though, "RIO" and Twentieth Century Fox are partnering with Rovio Mobile's popular app-based game "Angry Birds" for "Angry Birds RIO," which launches in March. As you might have read in my previous post, Disney Junior is taking over for Playhouse Disney on Monday, Feb. 14. The new incarnation is being billed by Disney as "a multiplatform destination for kids ages 2-7." To ring in the occasion, Disney has created a new theme song, "I Wanna Go," and Choo Choo Soul's Genevieve Goings is leading the vocals. The above video featuring "I Wanna Go" will premiere tomorrow on Disney Channel, but I got hold of a sneak peek. What could be more romantic ... and exotic ... than enjoying Moroccan cuisine and a belly-dancing show on Valentine's Day? That beats a boring old steak dinner any day! 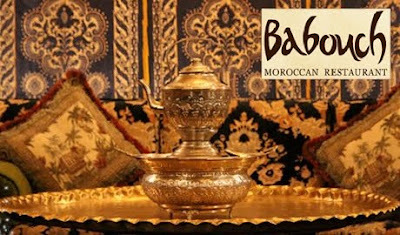 Babouch Moroccan Restaurant will give you a meal to remember. Feed each other authentic Moroccan finger foods like kabobs and hummus with pita bread while you enjoy live entertainment including traditional belly-dancing and tarot card reading– all for half-off! This is definitely something memorable and out of the ordinary. Perfect for Valentine's Day, a special date night, or a family outing to remember. It's not every day that my little pirate gets to meet Captain Hook -- and on the Disney Studios lot at that -- but CC and I came face-to-face with the infamous character (and his vocal counterpart!) at a D23: Disney's Official Fan Club advance screening of new animated show "Jake and the Never Land Pirates," premiering Feb. 14 on the new Disney Junior channel. The kid-friendly show, about a trio of tykes named Jake, Izzy and Cubby, explore their pirate island hideaway and try to outwit the familiar (but much softer) Captain Hook and his faithful sidekick Smee. We caught a couple of 11-minute episodes -- "Hide the Hideout!" and "The Old Shell Game" -- which will make up the Valentine's Day premiere on Disney Junior, formerly Playhouse Disney. Complete with jaunty music, courtesy of The Never Land Pirate Band (aka Loren Hoskins and Kevin Hendrickson), sassy characters (femme Izzy's catchphrase is "Ye Hey No Way"! ), fun quests and an awesome hideout, this looks like a fun show for the kiddos. CC certainly enjoyed it. 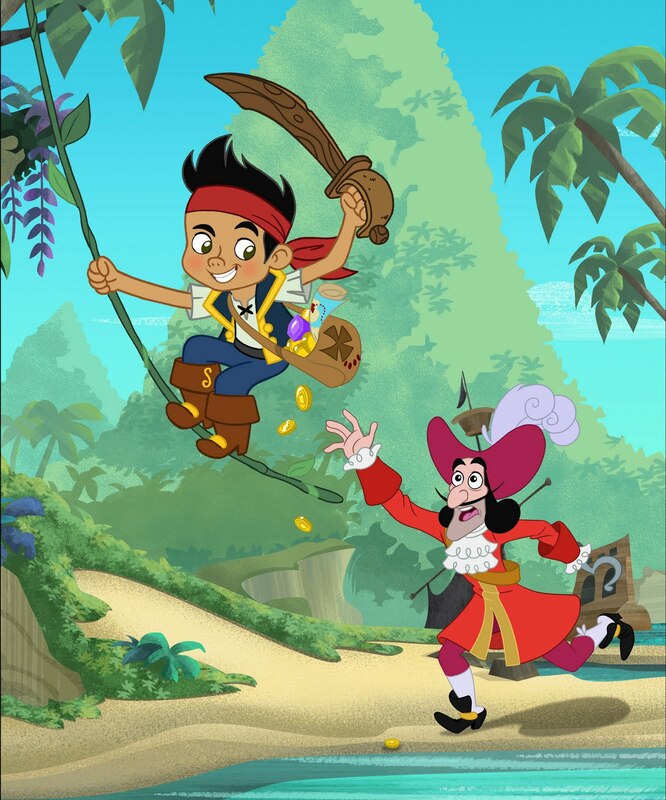 I won't give too much away about the first episode, but the kids get adventurous while keeping their super-secret hideaway a real secret from the Captain and his mate, while flying with Pixie Dust and earning gold doubloons for their treasure chest. They also track down a colorful, wandering shell on their little island, and that search offers kids at home a chance to sort shapes, colors and patterns on screen. After the screenings, the D23 audience got a real treat, as members of the voice cast joined executive producer Rob LaDuca and producer Mark Seidenberg up front for an informal Q&A session. Corey Burton, who voices Captain Hook, has been lending his voice to the legendary role for more than 30 years. Jeff Bennett (Mr. Smee), who also has voiced "Johnny Bravo" for Cartoon Network, offered up a fun repertoire of past voices alongside Burton. While the coolness of their jobs was, I think, a little lost on CC, she did enjoy the pair riffing on past characters -- and stories of how Burton once ordered food at a drive-thru while using a Yogi Bear voice. We'll definitely be tuning in to the new show. I'm always happy to have fun options for the kiddo that also offer opportunities to learn, whether it be math concepts in counting doubloons, sorting various seashell shapes -- or just learning to say "Ah, coconuts!" when frustrated. UPDATE: Congrats to Ruth, who won the pair of tickets to "In Mother Words" at the Geffen Playhouse on Feb. 19! In a funny coincidence, it also happens to be my mother's birthday. Cheers all around! It's always comforting to know that there are other mothers out there who have suffered as much as you have. At least, I think so. And thank goodness some of them have written about it. "In Mother Words," conceived by Susan Rose and Joan Stein and written by a number of high-profile playwrights, including Theresa Rebeck and Beth Henley, will be performed at the Geffen Playhouse in Westwood from February 15-May 1. This live-theater piece tackles both the humorous and horrifying aspects of motherhood, as playwrights share their personal experiences for audiences to judge, er, enjoy. Jane Kaczmarek (mother of all mothers from "Malcolm in the Middle"), Saidah Arrika Ekulona and James Lecesne are among the actors performing in the show, directed by Lisa Peterson. As the Geffen website states, "Whether you are a parent, have a parent or ever want to become a parent, this production will elate and terrify equally -- much like motherhood itself." Eek! Sounds too good to miss. I'm giving away 2 tickets to "In Mother Words," for the February 19 performance at 8 p.m. A reception will precede the show, from 4:30 p.m.-7:30 p.m., and you might even get to meet a few of the performers. Good luck, and I'll announce the winner on this post (not a separate one) Tuesday, February 15!